Posted in My travels, Reviews	Tagged camping, cider, Family Festival, festival, food, foodie, Ipswich, Jimmy's Farm, Jimmy's Farm Festival Review, Jimmy's Farm Sausage and Beer Festival, pblogger, review, Travel, U.K. 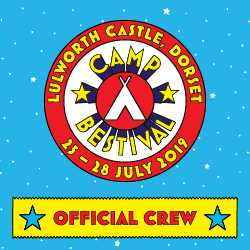 Blast off to Camp Bestival! The journey up and camping. On Friday morning we were finally on our epic adventure. The car was full to bust! Keeping me amused in the car was a challenge, even though I slept the majority of the way up, daddy had ‘In the night garden’ on standby just incase I got fractious. We were all conscious that we needed to get to the festival when the gates opened at 12pm to pitch a tent and secure our home away from home. Being first timers, we didn’t know where to pitch up or where to go. Natural instinct took over and mummy bundled me in my festival cart when we arrived with some bags and we took off on our trek to find a bit of flat grass. We walked for what seemed like ages, winding our way though the mass of already pitched tents. Even though we arrived at 1.30pm a lot of people had already secured their patches and more disappointingly secured others with bags and chairs. We asked several times if we could pitch up and sadly kept getting turned away with festival goers saying they were “reserved” for friends. Before we knew it we were very far from the car park, up a gradual slope and saw the end of the roped off little path. At last some space! Horror descended over our faces when we found out these patches too were “reserved” for friends that hadn’t turned up yet! 5 tent pitches! Eventually we talked the other camper round to let us pitch up as mummy had walked so far with me. When daddy turned up he was angry and couldn’t understand why people would reserve bits of grass with chairs and coats. Not a good start to the weekend my mummy thought. It took us 2 hours to get sorted. However it wasn’t all doom and gloom, mummy had walked so far up the campsite that we realised we were only a stones throw from the entrance!! “Well done mummy” this is a perfect position I clap. Luckily for us we pitched up just before the rain started and after the quick shower, had a cuppa and a well deserved sandwich. The next challenge was getting our festival wristbands, mummy queued for 20 mins for her wristband, she wished we had gone to get them as soon as we arrived. The sun was shining, but bored kids had trashed the ‘hello’ signs which dotted the pathway up to the entrance which was a shame. It was 4.30pm when we finally got into the festival on Friday. 2.5 hours after the festival had started! Our own fault for not leaving earlier, but also it seemed that everyone arrived at the same time to collect their wristbands. Top tip: lay your tent out on the grass, then get your wristbands before putting the tent up. We went around the festival site to get a lay of the land and it is stunning, so much attention to detail. Rode Hall is beautiful. The organisers have done a wonderful job with the decorations and the artwork. Just So Festival has 8 main areas. The Social & Footlights, Peek-a-boo, Head-over-Heels, The Imaginarium, Jitterbug, Spellbound Forest, Lazy Days and the High Seas. We started off at the Social, the main hub for eating and dancing, with the main stage within a walled field on a farm. It was called Footlights, with a bar opposite…the perfect remedy for my parents after a stressful afternoon. We chilled out and listened to the folky, bluegrass acoustic band called ‘Kidnap Alice’ in the afternoon sunshine, black clouds threaten but nothing came of it. We explored the magical Spellbound Forest and listened to some dusk campfire stories from the fabulous duo Patrick and Bridget. They were very funny! Later we headed back to the campsite for a BBQ and an early night for me. While I was asleep Grandma and Grandpa looked after me while Mummy and Daddy took a trip down the spooky path towards The High Seas and saw the awesome Shadowplay. I slept without a problem all the way from 8pm til 7am not bad for a first timer camping eh? Mummy and Daddy on the other hand were woken by a screaming toddler in the middle of the night which is a standard hazard of camping so close to other young families. On the whole though we were all amazed how silence descended on the campsite at 11pm and all was still until babies woke at dawn. Saturday at the Festival. The Lantern Parade Day. We woke with glorious sunshine on Saturday, dew on the grass and our bellies full of excitement for what lay ahead. Mummy took me to Peek-a-Boo, a baby and toddler area of the festival, for my early morning walk as not to wake the other campers, and for me to have some brekkie. She wheeled me around in my festival cart, while I remained in my sleepsuit, wellies and dressing gown, she in her PJs and she had a leisurely coffee and I had a jam croissant. We joined in with the ‘Wake Up Sleepy Heads’, and giggled as parents joined their infants in a cross between dancing and aerobic stretching to shake our weary bodies to life, ready for the day. It was such fun being silly and my mummy remembers seeing all the adults prancing around under the big tree. Within Peek-a-Boo there was also a baby changing tent, a baby bathing tent, a feeding tent, Clay Babies (which we sadly did not get the opportunity to join in with as it always seemed too popular) the Sheetfort, Sling library and Weleda tent which hosted other baby activities such as Cello Babies and Baby Yoga. Do you know what would have been good? A soft play tent. But alas, they didn’t have one….maybe for next year? (During the weekend we missed so much here, as it always seemed very busy). Before we knew it 2 hours had past and it was 9am, ready for my cereal and for my Mummy to wake the rest of our camping party, Grandma and Grandpa and Daddy. Mummy and Daddy dashed off to the Social to practice the Tribal Stag Chant ready for Sunday’s Parade and loved it. Afterwards we all spent the whole day exploring the festival. From 10am to 6pm. Mummy and Daddy had gotten into their Stag costumes and really into the Just So spirit of things. We played in the sand at the Pirate Ship in the High Seas (another fab area of the festival) joined in with some pirate fun and lazed away lunchtime in the sun. Watched the Dancing Games and people playing in the hay, unfortunately we missed the opportunity to take part, as it was a pre-register. We watched circus performers and blew bubbles on the Lazy Days lawn. Listened to some more live music and generally sat and watched the world go by. I wanted to walk everywhere, so there was no rushing around and by the time we got to places we missed a lot. We stumbled on bits of things and threw our routine and stress out of the window. We dressed up and danced around. The Family Traveller magazine sponsored the event and we had our family picture taken on one of the Imaginarium Stages. Saturday night while I was in bed, Mummy headed out to watch the Lantern Parade while I rested my weary head. It was spectacular and hopefully when I’m older I will come back and be able to fully appreciate it. That night Grandma and Grandpa went into the woods (Ooooo I say!) to relax around the curious campfire and they listened to the fabulous brass band ‘Perhaps Contraption’. Sunday at the Festival. The Tribal Tournament / Wild Rumpus Parade Day. We joined in with the fantastic Bollywood dancing at the Social, provided by the awesome Sohan, teaching us great Bollywood steps, my Mummy and Grandma were busting some Stag moves while I looked on. Organisers and volunteers were handing out golden nuggets for the tribal leaderboards. (One of the many Just So Festival activities ongoing during the weekend was an animal tribe competition to collect these golden nuggets in a tube in order to win the prized Just So Festival trophy). We had lunch by Head-over-Heels and watched the festival goers try out new circus skills. The weather was hot and sunny when we finally settled down on a picnic blanket at Footlights to watch the star attraction John Hegley. His funny poems and silly songs made me dance with glee, even though I couldn’t understand what he was saying and a lot of the jokes went above my (and other children’s heads) to the wicked delight of the parents and that added to the fun. We loved the actions to ‘Guillemot’ bird. Just before he finished the heavens opened and we retreated to the comfort of the social barn for a cuppa. Afterwards we aimlessly wandered around the woods and the Mirror Maze taking in the last of the daylight hours. I was fascinated by the lamps hanging from the branches and the fairy lights twinkling in the dusk. 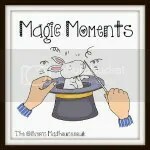 It was truly magical and our favourite moments were in the Spellbound Forest, Mummy and Daddy watching in awe as wonder spread across my face. We found that the early hours in the morning and early hours in the evening were the quietest, we felt we had the whole festival to ourselves which is a testament to the intimate feel of this children’s festival. 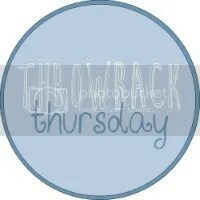 I had a blast and looking back at the photos that my Mummy and Daddy took, I have a smile in 99% of the them. Mummy’s highlight of the Just So Festival was watching me jig around to the music at Footlights and Daddy’s highlight was Tribal Chanting. My highlight was my eyes opening up to a whole new world of magic in the woods, performance and beauty. That sums up the Just So Festival. If you are looking for an arty, folky, funky family festival with a real sense of belonging then this is the festival for you. As first timers we felt included in the Just So family. The Tribal Tournament was great fun, high fives from strangers, smiles and nods of approval for being silly, everyone was so friendly during the festival shenanigans (it’s just a shame the goodwill and magic didn’t extended to the campsites) no wristband salute we’d heard so much about and they needed more lights on pathways to add to the festival sparkle. 1) Don’t pack too much! No, you don’t need those 24 batteries!! 2) Distraction for children when putting up and taking down tents with toys and music. 3) Snacks, when the food queues get too long and kids get fractious. 4) Familiar toys and books, to make your tent feel like home. 5) Wipes, wipes and more wipes, for when dewy grass gets on sticky hands. 6) Throw routine out of the window, don’t have a plan just go with the flow – it will be easier for everyone, trust us. 7) Be silly, be a big child, get messy and engage, leave your stress in the car park. 9) Get clothes and bags ready the night before for epic adventures in the morning. 10) …and breath! Take time to look at the sky. We hope you like our little review on our first camping and festival experience at Just So Festival. We have only just scratched the surface of this great family festival and what was on offer. We would recommend it to any family, young or old! As a baby there were certain activities that I couldn’t do, so I can’t wait till I’m older to visit again. Be sure to visit the Wild Rumpus team and the Just So Festival website for next years shenanigans, their early bird tickets for 2015 get listed soon. The question is will Mummy and Daddy let me go again? Will we head to Camp Bestival instead? Who knows….watch this space. 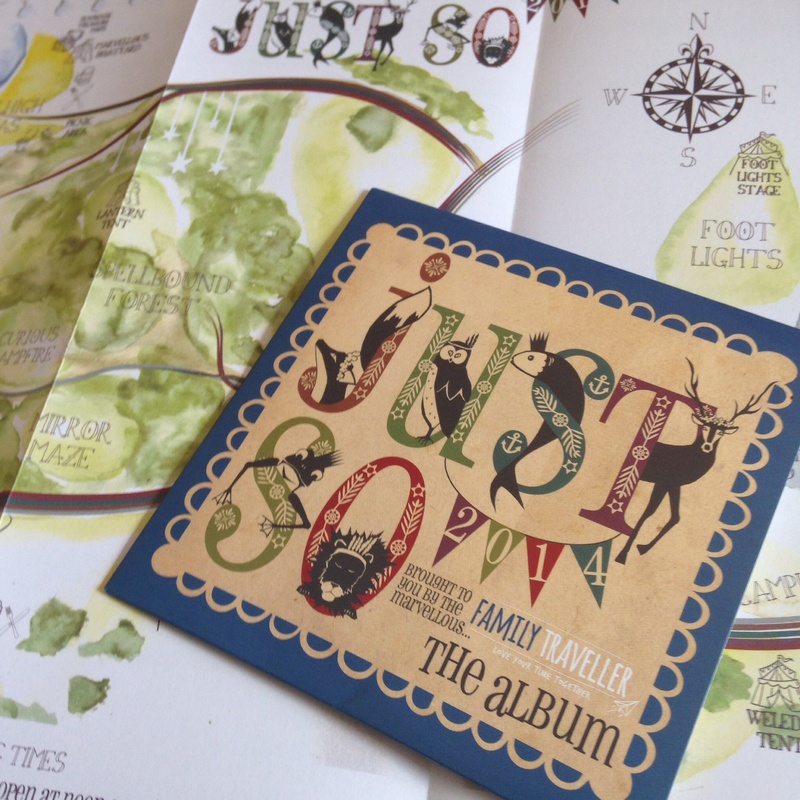 Just So Festival – Go Team Stag! It’s our first year at Just So Festival, we’ve received our weekend tickets, tested our tent and started to pack. A bit keen eh? One of the main things we are looking forward to is the Tribal Tournament, a chance to join a Just So Festival tribe. By joining a tribe we will take part in the parade at the end of the festival and earn points for our chosen team to help them win the trophy. We can earn points for our team by joining in the fun and games before and during the festival. It gives us the opportunity to dress up like our tribe animal and really emerge ourselves in the spirit of Just So Festival. I love dressing up and have full access to my mummy’s dressing up box. There are 6 tribes at this year’s festival. The very popular Foxes, Owls and Frogs, the Fish and Lions and then the not so popular Stags who came bottom last year. We wanted to put our efforts to help the Stags make the biggest comeback EVER! Well kinda of…not coming last would be an achievement. There are so many fab ideas and things to do to become a stag. We scoured Pinterest to look at tribal headdresses, looked at festival masks, Red Indian head pieces and visited deer and stag local handouts at Windsor Great Park and Petworth House. We wanted to be at one with the stag, become a stag. Mummy even watched creepy ‘Hannibal’ on Sky TV to see how a stag was depicted as Hannibal Lecter’s persona. I didn’t watch that programme though, a bit too scary and gorey for my little eyes. 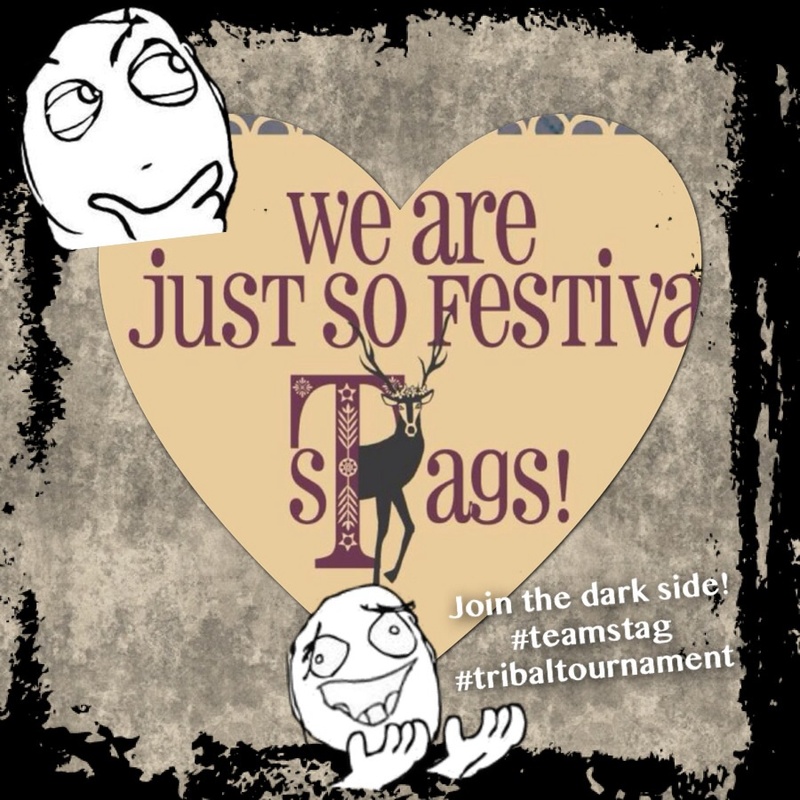 The feeling we get is Team Stag are the dark horses of the tribal tournament, slightly mysterious and proud creatures but also loners. Solitary souls who are lost. Hopefully during the tribal tournament we can make new friends and restore the team pride. We’ve made a start on our costumes by creating our headpieces. Each of us will have a different stag personality. 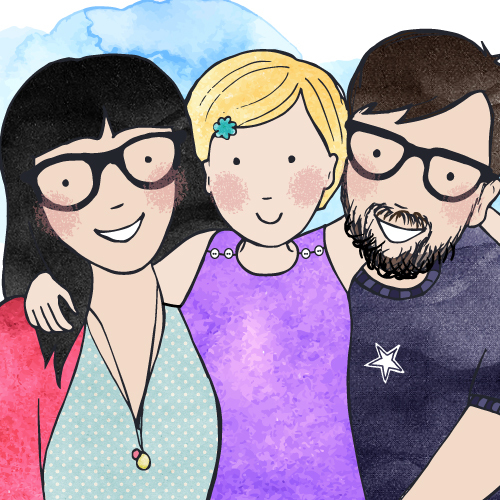 Mummy is a Mexican Deer of the Peyote, Daddy is a Scottish Heritage Stag and I’m a Pixie Baby Fawn. 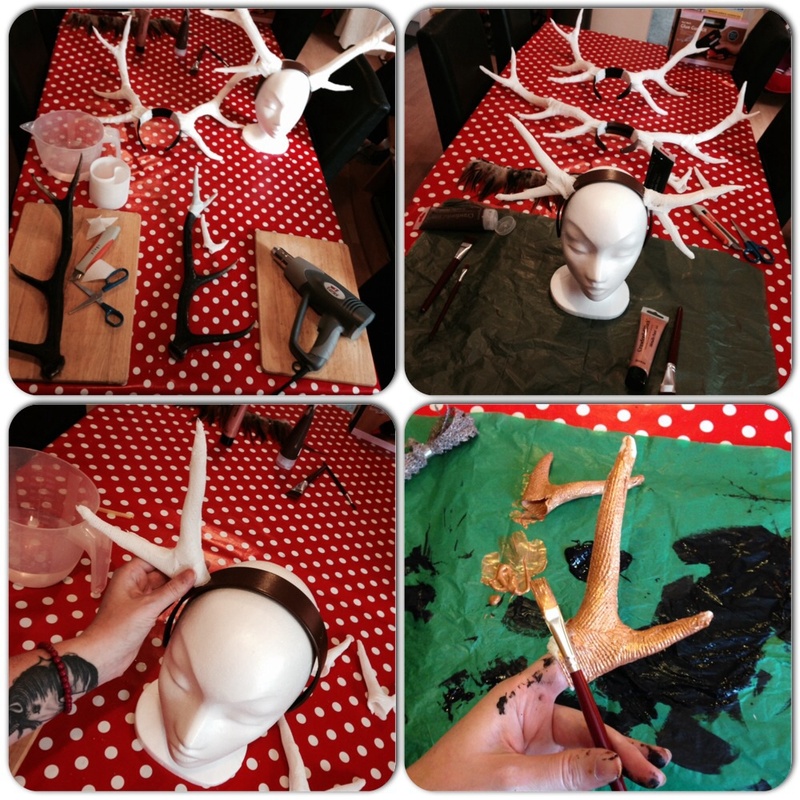 Here’s our progress so far… We’ve used a substance called Kobracast to make our antler head pieces. It’s a thermoplastic which moulds to any object to make a hard, light weight cast. Ideal for wrapping around antlers and creating life-like multiples. Mummy carefully heats the Kobracast using a heat gun to make it pliable. We bought the antlers at the Highclere Country Show back in May from a walking stick maker/ taxidermist who collects them. 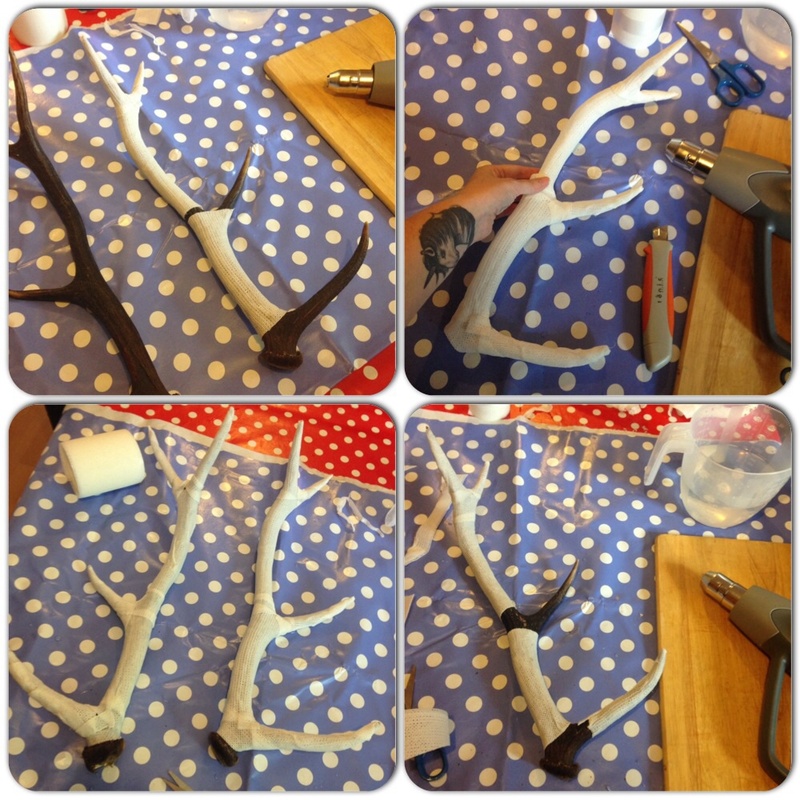 Deer and Stags shed their antlers from March through to May and these were acquired through a natural shed. So no deer was harmed in the making. Once the casts were made and set mummy carefully peeled the Kobracast from the antlers using a stanley knife. We used brown and black acrylic to paint mummy and daddy’s and gold to paint my little horns. 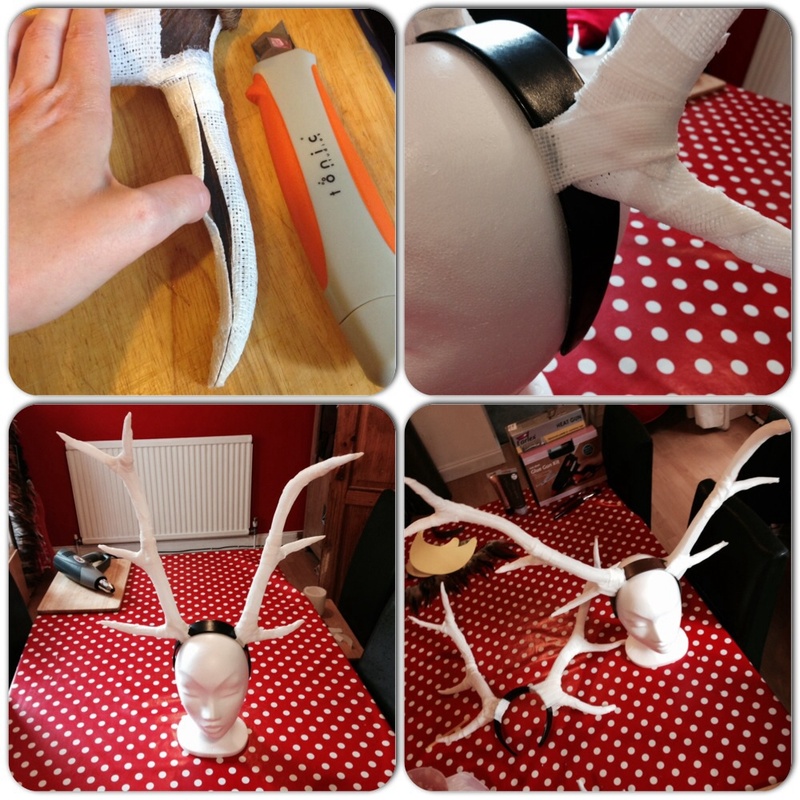 Mummy affixed the faux antlers to wide hair bands with Kobracast and glue.